Eshowe Hills is fast becoming a popular place to settle down thanks to its reputation as a secure community, its beautiful views and its incredible location. The estate is the perfect amalgamation of nature and modern-day life. With Eshowe Hills, you can revel in a private paradise with its very own wildlife, from various buck to exotic birds, while still enjoying the amenities of contemporary living. There are a range of luxury facilities within the estate – some of which include a tennis court, a gym and even a beautiful bowling green for residents to make use of. Eshowe Hills is there to ensure you keep yourself in the best physical health while enjoying your new lifestyle. One of the estate’s greatest features is the golf course. It was designed by the legendary Bob Grimsdell in the 1950’s, and has since been upgraded by European Masters Champion and multiple tournament winner, Jeff Hawkes. It’s the perfect place to enjoy a friendly game of golf. Finally, as an added bonus, you won’t have to worry about the unbearable heat during Summer. Eshowe is situated 500 meters above sea level which makes for a temperate climate all-year round. 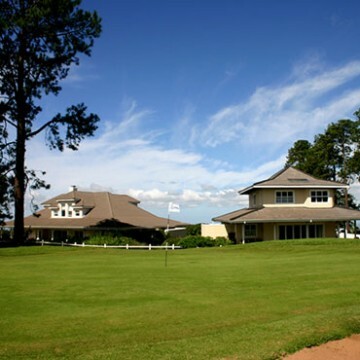 If Eshowe Hills sounds like the retirement estate for you, why not contact us on +27 (84) 449 9677? Alternatively we could show you around over a game of golf. For more information you can browse our website on www.eshowehills.co.za.